In the hustle and bustle of busy lives, it can be a challenge to find quality time to spend as a family. Whether by schedules or screens, we are often distracted from the people we love the most. 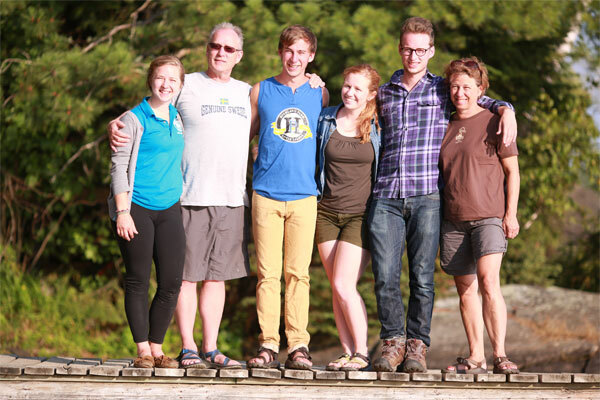 Camp du Nord’s Family Camps take you away from your normal routine. We offer a north woods escape, where you can surround yourselves in serene wilderness, take a break from life’s many interruptions and relax together as a family. Families come in all shapes and sizes. The definition of family can be different for many people. At du Nord, we appreciate the value of diverse populations and welcome all. Our camps bring together families of any shape and size, strengthening relationships and creating unforgettable memories that you’ll share for a lifetime. Our weeklong family programs offer age-specific programming in the mornings and all-family programs in the evenings and afternoons. Enjoy a fun and relaxing weekend in the north woods. We have activities for all ages, including guided hikes and paddles, arts and crafts, family saunas, campfires, skiing and snowshoeing.